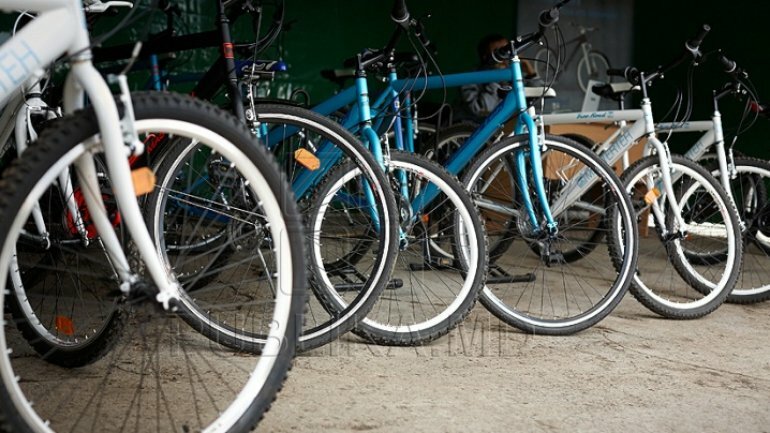 Two bicycle parking spaces have been installed in Moldova at the initiative of "Orasul Meu" (My city) Association. The "Take a break" project provides building three parking places and it was funded by the City Hall. It is worth 25 thousand lei. The two metal installations have been placed in Valea Morilor Park and Stefan cel Mare Public Garden. "I consider it is very important for the young to spend as more time as possible outside." "I use the bicycle, so this project is very important." "Orasul meu" Association's project was approved by the City Hall. The third parking space will be placed on Mircea cel Batran boulevard from the Capital.